Kathrin Sonntag’s works examine the conditions of seeing, perceiving, and recognising. Her finely balanced installations lead visitors to make mental mistakes,lead viewers to make mental mistakes, create ambiguities about space, time, object, or architecture, and blur the boundary between photographic representation and reality. In her exhibition Things Doing Their Thing, Sonntag will be showing objects, slide projections, and collages as well as a photo installation. 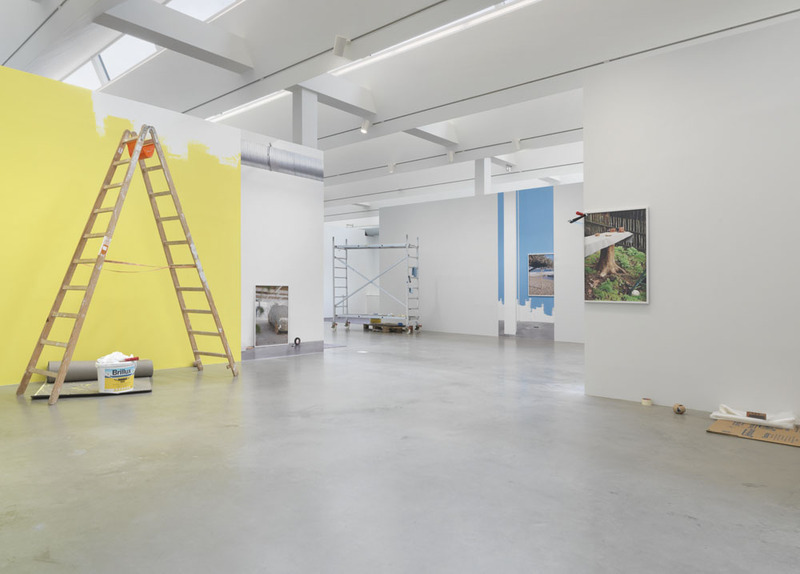 With subtle interventions in the network of relationships between everyday things, the artist sabotages viewers’ perceptual routines and transforms the exhibition space into a place where the unexpected in the seemingly familiar emerges in an astonishing way. 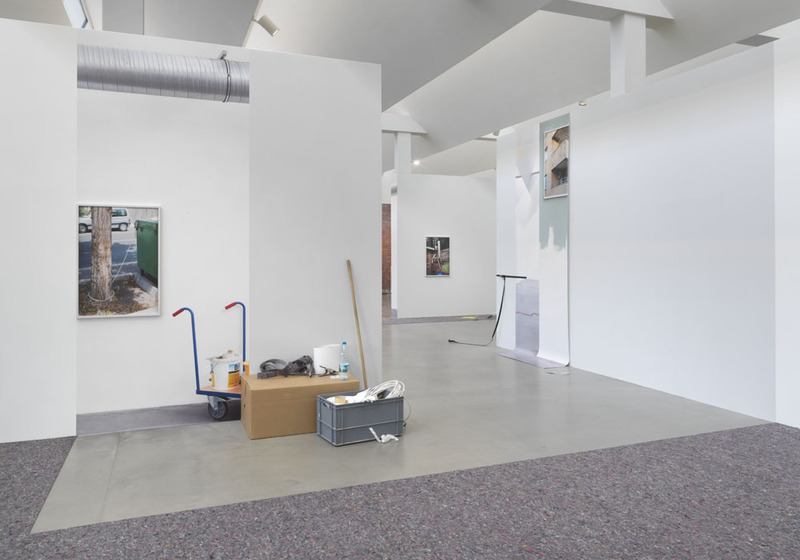 The point of departure for the installation Problems and Solutions(2017) is a series of photographs with which Kathrin Sonntag documents provisional solutions to everyday problems. The artist pursues both imaginative and crude ad-hoc solutions, which she photographs in her immediate environment. The way in which Sonntag presents the series within the installation is itself only an interim solution—and its improvised character echoes the photographed subjects. With her new work Alles in Ordnung! (2018), the artist focuses on the bizarre world of a German mail order catalogue. The three-channel slide projection combines elements of text and images into a web of absurd poetry and thus ironically examines the curious rhetoric of imperatives, which simultaneously reflects social role models and conventions. With the kind support of Heinz Papst from Phase One.